webFEAT Complete deserves 6 stars if it was allowed! They helped me through the whole process from start to finish. They are courteous and professional. I will be recommending them to my friends and colleagues in the near future. After webFEAT rebuilt my website and did SEO work, I went from having 1-2 leads per month from the website, to one almost every other day! I'm very pleased with the work they've done and would recommend them. They are always there to make the little changes to help make our Website the best it can be! They do an amazing job for a great price! The creative process was awesome. I was impressed because they had no idea what our business is and after a crash course on our business, they grasped the concept very well and very quickly. It is hard to find a developer who can really design what you have in mind, the lead developer probed for all of the right questions, and the final product was better than I had even envisioned. Thanks for the great results, and honest/fair price. Will continue working with this company! It has been great working with webFEAT Complete on the development of our website and ecommerce. They have helped increase our business and made us more efficient. I would recommend them to any small business. Amazing staff that really cares! They have a super team of dedicated individuals that helped us with all of our needs!! We are a long-term customer. webFEAT has helped J.K. Meurer maintain an market leading web-presence in the Cincinnati asphalt industry. We have used almost all of webFEAT's services. The team there is awesome. They respond immediately to questions and requests. 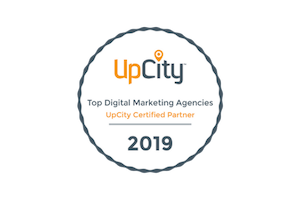 When we started working with them our SEO strategy and PPC campaign didn't exist now we have robust key search terms and a google adgrant that is not only generating click through but revenue! Most recently we have moved into video PPC ads. I would highly recommend them. An amazingly talented group of people. Very creative and customer service is on point! Looking forward to working with them for years to come. Thanks for getting all hands on deck to help us put that fire out, everyone here is very impressed with how responsive the webFEAT team is. Everything looks great and the site has been very well received…I have enjoyed working with all of you on this project! My first reaction is OMG!! It’s clean, simple, easy and totally ECS. I love it… Thanks again! webFEAT Customer Service is Top Notch!! They are a great team, very easy to work with and we highly recommend them! webFEAT Complete is a terrific company. The staff is incredibly responsive to both big and small website change requests. In addition, their work on SEO optimization is the best we’ve ever experienced. I would highly recommend them to anyone looking for a responsive, professional partner for web design and support. webFEAT Complete provides a modern feel to our website and takes the initiative to keep things up to date. I am grateful for the technical competence and SEO. My customers confirm that we present ourselves as a world-class supplier. I really enjoyed reading your twenty year history in the e-mail that you sent me. wFC has been pleasant and easy for me.